OPM singer’s not so obvious way to campaign for Mayor Duterte; netizens loving it! A video of an OPM singer who popularized the hit song “Paminsan-minsan” telling registered voters to go out and exercise their right to vote is making the rounds online. 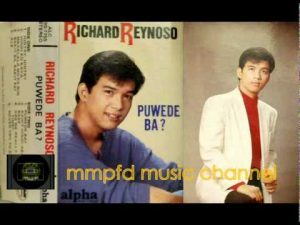 In a Facebook post shared more than 100 times, OPM singer Richard Reynoso published his video encouraging registered voters specifically the OFW’s to go out and exercise their rights of suffrage. The OPM singer started by introducing himself to the viewers, especially the younger generations who do not recognize him and without wasting any moment, proceeded to deliver his message to the overseas Filipino workers. The OPM singer explained that the voters’ rights to vote is their voice to choose the next leader of the country who lead the country in the next 6 years. The OPM singer reminded the voters that one vote could spell the difference in a tight election contest if hundreds of thousands of voters will respond to his call and take action. Before ending his short speech, Mr. Reynoso reiterated his call for the voters to go out and exercise their rights to vote and make a difference in the coming election. Mr. Reynosos’ video has generated good reception from Duterte supporters because even if the OPM singer did not directly endorse the candidacy of Mayor Duterte, the OPM singer’s work station is accessorized with Duterte campaign logos. (^,*)..! !sorry can’t help snaggin….thanks bunches Richard.. I go for duterte but my ears and eyes are opened. Harvey Keh gets tongue lashing from WAC: Gago lang talaga to…ang bobo ng reasoning. Read why! galing mo RichaRD just encourage everyone to go out and vote . may your tribe grow more!